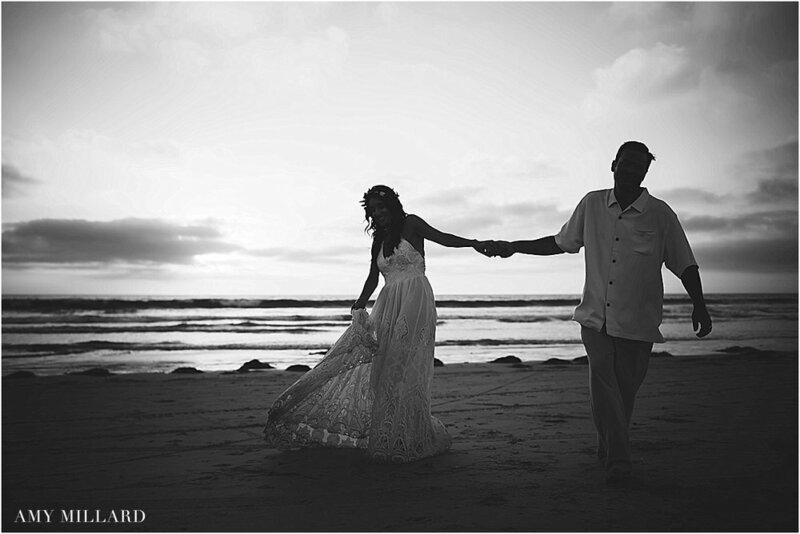 Carly & Brandon quaint beach wedding in Mission Beach had the perfect balance of Southern California meets Islander Style. Their ceremony area was detailed with palms, and alter with tropical florals. Head over to the reception area, an outdoor space of this sweet Spanish vacation rental, and you'll find the tables have a flare of pineapples and palms as well. 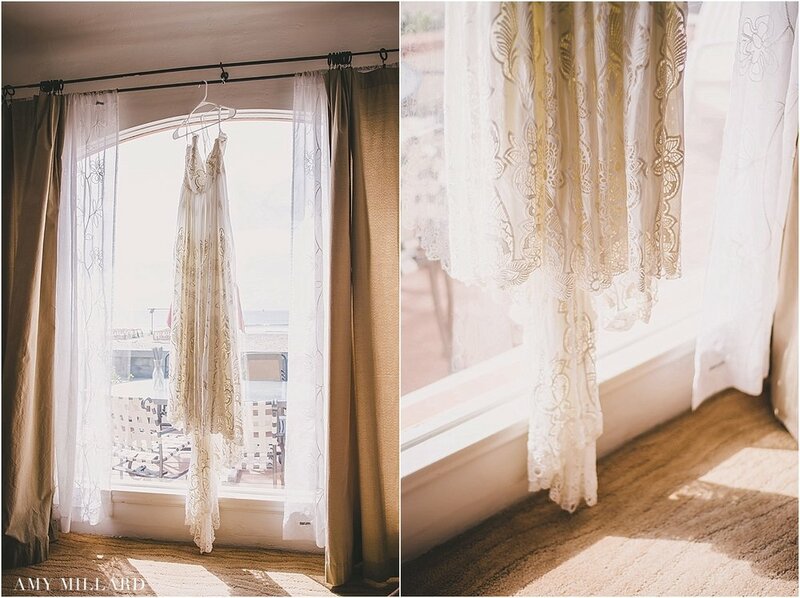 These two put on a beautiful celebration for their guests; using the simplest touches. Well done and congrats to the two of you! Thanks to Star Hansen Events for all the help making this day run smoothly!